An award-winning legacy continues; completely revised and featuring world-class evangelical scholarship, the Expositor’s Bible Commentary includes brand new commentaries and updates throughout the volumes. In the Olive Tree Bible App, the EBC-R comes to life. Verse references become hyperlinks, the split window allows you to read the Bible side-by-side with the commentary, and you can easily take notes and highlights within the text. Enhanced for use in the Resource Guide, let Olive Tree Bible App simplify your study with the Expositor's Bible Commentary. Since 1976 pastors, teachers, and students have turned to EBC for content they can trust. With 2 million copies sold, the award-winning legacy continues in 2012 with a complete, totally revised, and updated 13-volume set. Scholarly and accessible, EBC-R reflects the best work from world-class scholars including D. A. Carson, George Guthrie, John Walton, and Andreas Köstenberger. 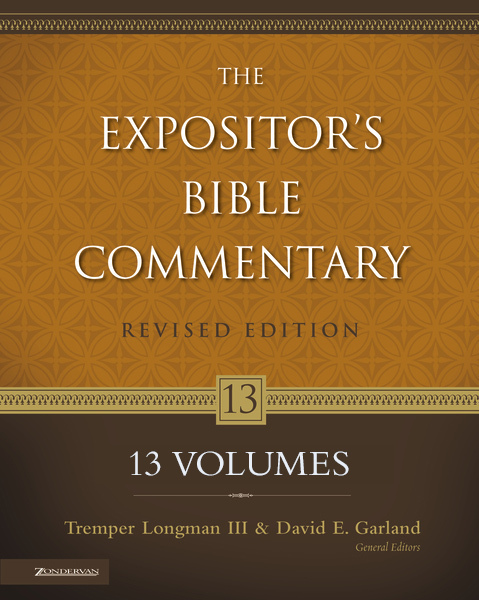 The Expositor’s Bible Commentary—Revised is a comprehensive and succinct commentary that guides users to the text’s core meaning. With enhanced features, specialized discussion of key words and concepts, and each commentator’s point-of-view on the text’s implications for life, the EBC-R series is a vital resource for every preacher, teacher, and student of the Bible. Upgrade Pricing Available! If you've previously purchased the Expositor's Bible Commentary, you can purchase this item for a special upgrade price. The upgrade price will be visible when you log in to your Olive Tree account and add the item to your cart (NOTE: Upgrade pricing is only available on www.olivetree.com, and not via in-app purchase).